We should just party like it’s 1999! Zero Waste living helps farmers grow vegetables to make you tough. But then, I remember that I have children! Three of them! And I come back to reality, to this space, where I can share my journey of hopeful, living-simple-so-others-may-simply-live, a frugality that is sustainable for the next generation. The UN Climate Conference in Paris is almost over. I’ve chosen to write about 7 ways to reduce waste to coincide with the last 7 full days of the conference: recycle, the habits of a reusable mug, create a Zero Waste Closet, Zero Waste Lunch Box, and Zero Waste Kitchen. Way #6 Start the road to a Zero Waste Bathroom by changing one thing/practice at a time. disposable plastic toothbrushes with recyclable toothbrushes by Preserve (2006) . disposable menstrual pads and tampons with reusable cotton pads and the Diva Cup from lunapads.com (2011) Take advantage of coupons and free shipping whenever possible. Of course, you can make your own. TMI: My friend V. introduced the concept of the Diva Cup to me. After I read a blogpost by a runner in the UK training and racing with one of these, I decided to go for it. Been using it, along with the reusable cotton pads ever since. recyclable toothbrushes with compostable toothbrushes from Amazon.com. (2015). For years, Preserve provided postage-paid bags you could send your toothbrushes to get recycled. They no longer offer that. Whole Foods Market in town will take them for you. We bought compostable toothbrushes a couple of months ago and started off with a 4-pack but will be going to a 12-pack, eventually. 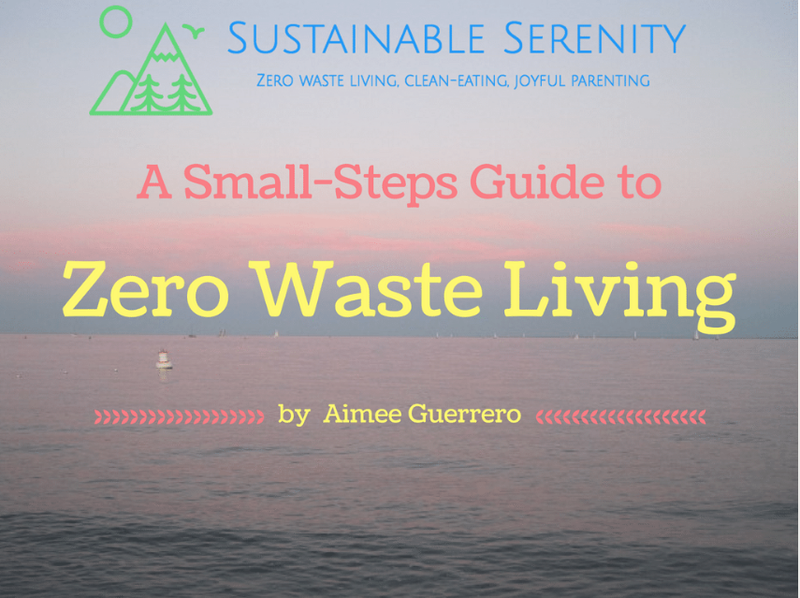 It took me years to get to where I am now, and I am still learning and making new goals aiming toward achieving a Zero Waste Home. New learning: I’ve recently discovered that milled bar soap lasts a lot longer than packaged bar soap. I’m in the process of finding the right one(s) that will make everyone in the family happy. New goal: make my own toothpaste. Stay tuned for those posts, hopefully in the not-too-distant future. Yes.. unfortunately the Global Warming is starting to look much more like an actual and fast developing event that is maybe impossible to stop or reverse. I agree that there are many ways to contribute to solving the problem by adopting the Zero Waste lifestyle and be more concerned and aware of the waste we produce. I try to reuse and recycle a big part of my waste. Thanks for the post! Greetings!